Whether you are looking to improve nutrition and sneak in some extra fruits and veggies in your family’s diet or just want the best and most nutritious baby food for your baby Pure Spoon has you covered! You will be amazed at the difference in taste, texture, and nutrition! 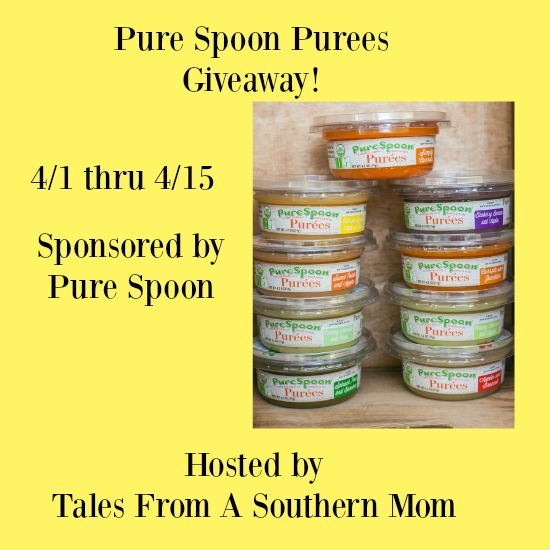 You can ready Julie’s thoughts at the Pure Spoon Review! Our baby is arriving shortly and I would love our baby to try these out! Thank you for the give away!